Intragastric balloons are used as a treatment for obesity. Much of the data collected on balloons had been in the context of clinical trials in academic medical centers or as a bridge to bariatric surgery in obesity centers. The aim of this study was to investigate the efficacy and safety of balloon treatment in private practice. This is an interventional study. The study included 1600 patients. The study was conducted at the ElKatib Hospital. 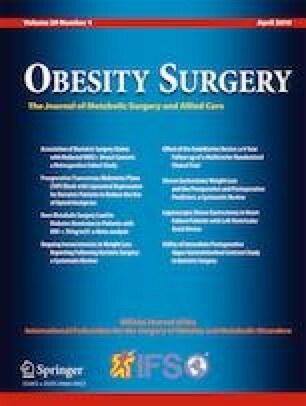 This was a retrospective analysis of 6-month weight loss data and balloon-related complications of patients referred to a private center for obesity treatment. The assessment was carried out by obtaining full patients’ history (personal history, present illness, and previous drug history and operations). Laboratory work was done in the form of CBC, blood sugar, and viral markers. Bioenterics Intragastric Balloon (BIB) silicone balloon was used, filled with saline plus methylene blue dye with a volume ranging from 400 to 700 ml. The gained measures were analyzed by using SPSS program, and paired t test and chi-square test were used to compare between groups. A total of 1600 patients were included (368 male (23%) and 1232 female (77%)) with mean age 34.1 ± 10.354, mean body weight 112.45 ± 26.24, and mean body mass index (BMI) 40.32 ± 8.17. There were 46 patients younger than 18 years and 12 patients older than 60 years. There were 109 patients with a BMI ranging from 25 to < 35 and 737 patients with a BMI ≥ 40 kg/m2. A total of 1567 patients who attended weight consultation had a mean weight loss 17.35 ± 11.07 from intragastric balloon implantation. Thirty-three patients from the total sample were not weighted after the removal of the balloon (dropped out). Percentage excess weight loss (% EWL) = 100% × (baseline absolute weight (AW)−last weight)/(baseline AW−initial body weight (IBW)) was found, and weight loss of more than 10% was considered significant. About 49.3% of patients showed significant weight loss > 10%, 24.7% of patients showed weight loss > 20%, while 26% of patients showed no significant weight loss < 10%. Intragastric balloons on their own, with an intensive lifestyle program and supportive consultations, resulted in safe and short-term substantial weight loss, and may fill the therapeutic gap between pharmacotherapy and surgery. The study has been approved by the ministry of health and the hospital ethics committee and has been performed in accordance with the ethical standards.